Sales and Marketing plans are tailored to each individual property and budget. We cater to all forms of real estate marketing, including, but not limited too, Internet & print media. 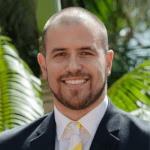 I have had experience with Real Estate Salespersons in the past but nothing compares to Ray White! Peter Bullman helped me in a way far exceeding his job & lifting the burden of finalising the sale whilst I was in hospital. I could never speak highly enough of his efforts to assist me & am still complimenting him to Friends & also recommending Ray White. This was a difficult situation as the house was my Sisters, she had a stroke which left me with the job of selling & what could have been very stressful became bearable. We were both very happy with Peter's service as our dedicated real estate agent. Nothing was too much for Pete. He worked beyond his call of duty to successfully sell our property. First open house and we got a great offer. Pete always kept us in the loop on what was going on with the selling process, and we as vendors were very anxious about this whole process, Pete put us at ease. Job very well done Pete and the team at Ray White Dapto.